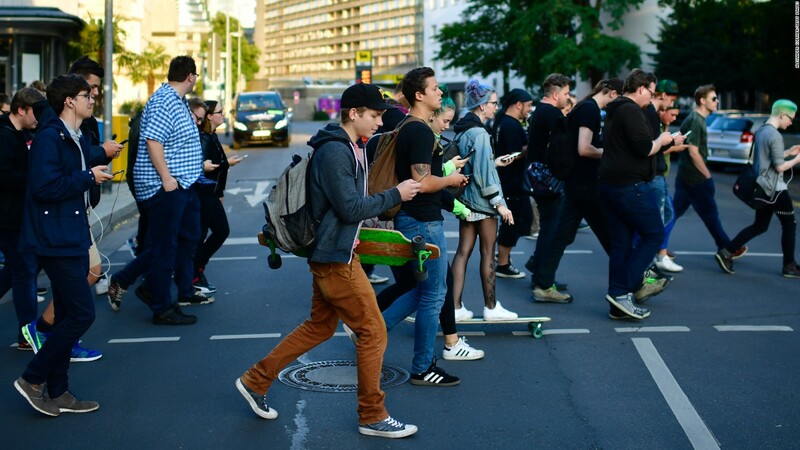 This entry was posted in Discover, Life, Opinion, Postaday and tagged life, Pedestrians With Cell Phones, social media, technology. Bookmark the permalink. ← Where Are The Stars? I do not understand people glued to their phones. It is unnecessary today. You can get everything on your phone delivered to you via your ear, and respond to it with out ever touching your phone. When I am out or even doing house chores, I normally have one or both of my airpods in. I can listen to podcasts, news, music, text, and even email via them. I can stop , start, change volume, and even change what I am listening to with out pulling out my phone and staring at it. I never miss what others say to me and I never miss what is going on around me. Still proud to say I don’t have a smartphone. I think this could be a realising of Darwin’s Law (about survival of the fittest). So by tooting them you are actually doing them a favour. By running them over you’d be doing all your fellow motorists a favour. If the bots survive, they learn, no? If someone mugged and assaulted them, would they even notice? I don’t get it either. I have a cell phone for emergencies (if my car breaks down, basically), but I go weeks at a time without even turning it on. It would make me way too nervous to walk around outdoors not being fully focused on my surroundings. We (Spouse and I) watched a young couple walking side by side and we suspect phone-by-phone. Obviously rapt in texting each other; it takes all sorts—Spouse and I actually do the old-fashioned thing called talking.